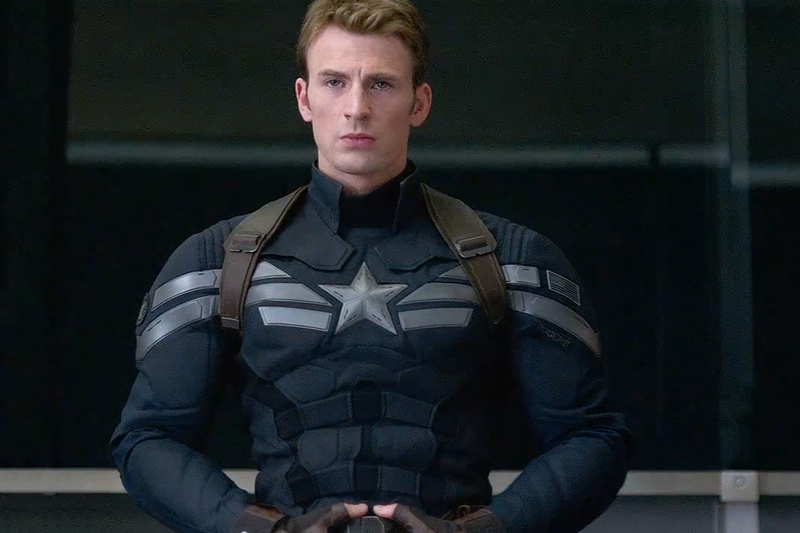 A little darker and more serious than Marvel Studios’ other movies to date, Captain America: The Winter Soldier is an impressive action-drama that proves that superhero sequels can be worthwhile. Bigger and bolder yet tightly focused in terms of story and character, it shakes up the Marvel Cinematic Universe and pushes the boundaries of what comic book movies can do. 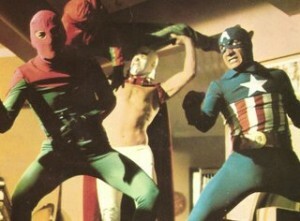 More importantly, it’s also just plain fun. Chris Evans returns as the star-spangled man-with-a-plan, in his first post-Avengers solo outing. Since the events of that movie, Steve Rogers/Captain America has been working as the #1 agent for the shadowy intelligence agency S.H.I.E.L.D., in between catching up on the past 70-dd years he missed while frozen in a the Arctic. (A great early sight gag involves a pop culture to-do list.) A seemingly run-of-the-mill mission to rescue a S.H.I.E.L.D. research ship from high-tech pirates sets of a red flag for Rogers when he catches fellow agent Natasha Romanoff/Black Widow (Scarlett Johansson) secretly retrieving data from the ship’s computers for S.H.I.E.L.D. director Nick Fury (Samuel L. Jackson). When he grills Fury, Rogers is briefed on a covert project best described as drone warfare on a global scale, with highly questionable, extrajudicial aspects. Fury’s penchant for ultra-secrecy troubles Rogers, but not nearly a much as the attempt made on Fury’s life by a brutal, almost mythical assassin known only as the Winter Soldier. 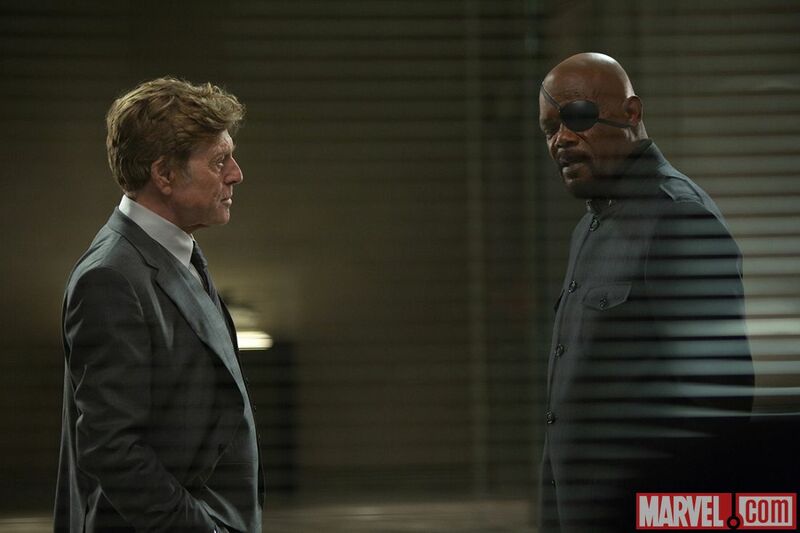 Tasked by Defense Secretary Alexander Pierce (Robert Redford) with uncovering the conspiracy, Rogers instead finds that its roots may extend throughout S.H.I.E.L.D., and that his only trustworthy allies are the Widow and former para-rescue soldier and budding superhero Sam “The Falcon” Wilson (Anthony Mackie). Brothers/co-directors Anthony and Joe Russo (Welcome to Colinwood) impressively stitch an old-school ’70s-era paranoia political thriller onto a comic book movie with a contemporary twist. The presence of Redford, star of Three Days of the Condor and All the President’s Men, makes for a brilliant casting coup that works a cinematic shorthand — Cap meets Watergate, if you will. Redford proves to be a good fit for the material, and some choice scenes with him and Jackson crackle with the kind of energy you only get from veteran actors going head-to-head. Just as impressively, they smoothly mix in some enjoyably bombastic action scenes that blend impressively choreographed car chases, shoot-outs, and punching fests with just enough CGI spectacle. If there’s anything missing, it is some of the heart of Captain America: The First Avenger and the humor of The Avengers that made those films charming; whether or not that is detrimental is a matter of personal preference. Winter Soldier‘s tone and subject matter are fitting for the world we now live in and make us long for the simpler times Cap once inhabited — and thus put us in his shoes. The only real baggage here is the same that is increasingly found in Marvel’s movies: They are all part of a grand plan of connected stories that often place limiting requirements on writers and directors. It’s still fun, though the strain sometimes shows. It’s a minor quibble, however.